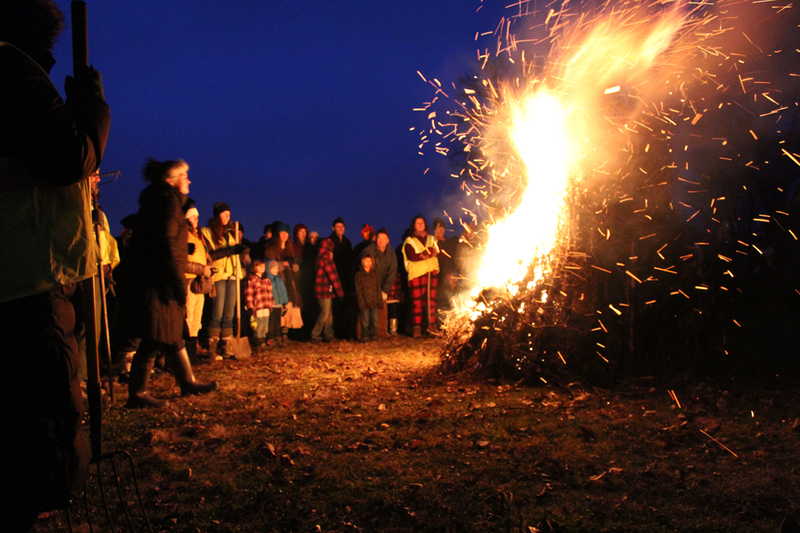 The Winter Solstice bonfire, part of a twice annual Solstice celebration held at Olbrich Park on December 22, 2015. 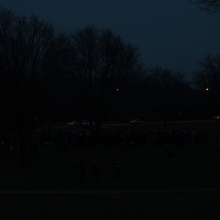 The Solstice is one of the more accessible and life affirming holidays celebrated in Madison and it occurs twice a year! Centered around the astronomical cycles of the sun and the earth, the Solstice is a recognition and reaffirmation of our connection to Mother Earth. The history of the Solstice reminds us that it is not a single deity or a collection of them that truly drives our existence; it is the natural rhythms of the earth that shaped humanity over time. This recognition is very popular in Madison with many Solstice celebrations held around the city. Our northern city endures the ravages of winter and the tradition of a bonfire is attractive to our residents as, like in pre-Christian times, it signifies the return of heat and light from the sun after it has spent six months retreating from us. The McGrath Property Group is trying where The Baldwin Group has failed, to redevelop on the north side of the 700 block of Willy Street. In a letter sent to District 6 Alder Marsha Rummel, McGRath Principal Lance McGrath said that his company has accepted an offer to purchase 714-722 Williamson Street which includes the Morris Paper/Olds Seed building and the adjacent parking lot. McGrath plans to turn the Olds building into 40-50 “Concrete Lofts” featuring 11-foot ceilings, exposed duct work and brick walls along with large windows; all the features which McGrath says will be unique to Madison. The first floor will likely feature commercial/retail use and they plan to add one or two levels to the building in pursuit of the loft concept. In addition conversion of the current structure, McGrath proposes to build a five-story building running east-west abutting the Capital City Trail bike path on the north side of the current parking lot. This building will feature 80-90 units with parking at the ground floor and one level underground. A view of the mixed-used development proposed for the Marling site at 1801 E. Washington Avenue. Talk of redeveloping the Marling Lumber site has existed for over a year, but has found new momentum after a public meeting in September where developers, Campbell Capital Group, LLC., presented their plan to redevelop the site featuring a largely residential mixed-use development. Late last month Campbell Capital submitted their plan to the City of Madison to build a 230 unit apartment complex with 20,000 square feet of commercial space, mostly on East Washington Avenue. 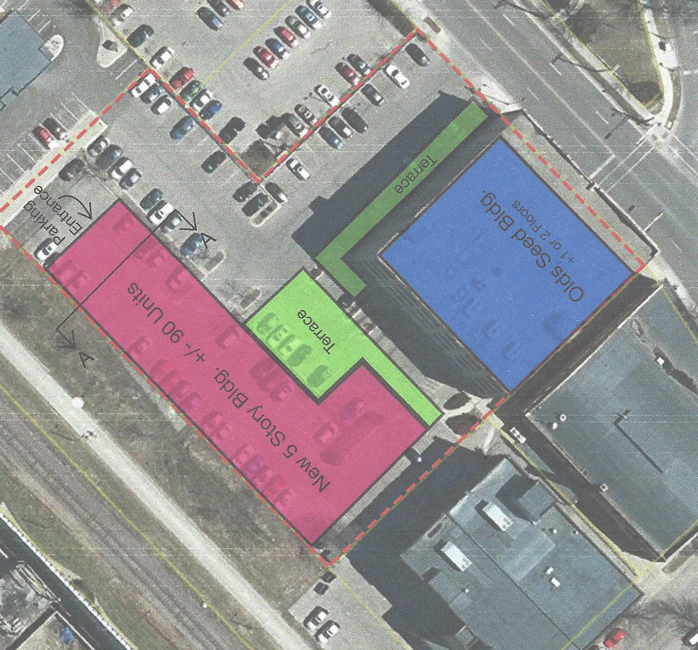 In a Letter of Intent to the City, CCG Founder Micheal J. Campbell proposed the two to four story interconnected buildings would blend in with the neighborhood by presenting welcoming features both along East Washington and the Yahara River. “A public plaza along the Yahara River connects and integrates the Project and its residents with the surrounding neighborhood. This sense of community, and interaction at the street level, is further enhanced by the exterior entrances to some of the residential units along East Main Street,” Campbell wrote. One hundred and fifty of the 230 units will be 1-bedroom, 78 are 2-bed, and three will be 3-bed with the average square footage of each unit adding up to 811 square feet. There will also be three courtyards, an outdoor pool, interior structured parking with 334 spaces and 265 spaces for bicycles.